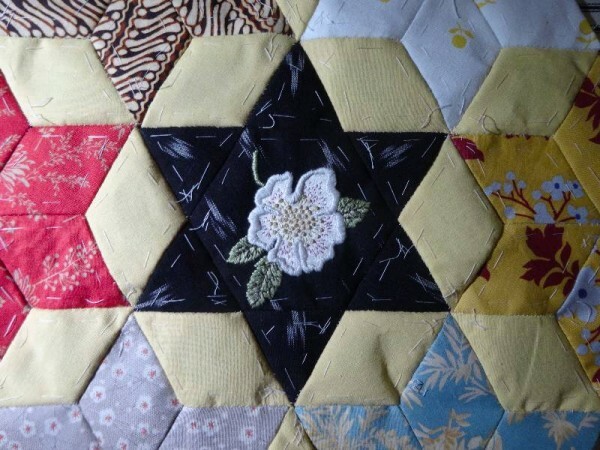 Two weeks ago we had the sixth meeting of the patchwork group and this time there were just 2 of us, which is not surprising as these things lose momentum when regular meetings become difficult – our last meeting had been way back in October. In some ways this gap had been fortunate as I had begun to think a big medallion was inappropriate for a such a little, unassuming church. I was still keen, however, to have some sort of embroidered detail that expressed the genius loci of a village church in an area of rural beauty. Thinking along these lines, the obvious crept up on me, for what could be better in an English country church than the presence of local flora and possibly fauna on our patchwork. So, sweeping aside other things, I set to embroidering a couple of flowers to see how they would look. At the moment I’m not sure how many embroidered stars we shall do – but this has really excited me and I’d love to just get on with embroidering little poppies (red and white), cornflowers, pansies, bluebells, fritilleries…let alone the odd snail, ladybird and butterflies of every variety that can be seen locally. I want to encourage others to try their hands at sketching flowers and then embroidering what they’ve drawn – daisies, dandelion clocks or sprigs of berries have a simple form and would be just right. To make the embroidery easier, the flower is embroidered and then a hexagon is cut out around it; to this little triangles are added so that we end up with the same size star as those made out of diamonds. 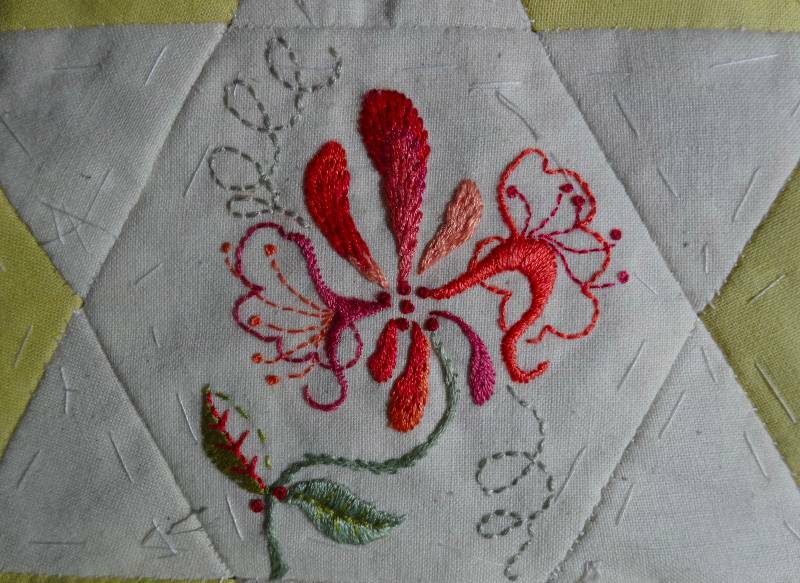 I find I can complete a flower in a couple of evenings, so I hope to get the whitework for the altar cloth done during daylight and flowers for the altar frontal in the evenings. For those who don’t look at my blog, we’re aiming to whip up (or renew) interest by a front page of colour photos in a forthcoming parish magazine – and by then we should have more flowers to show. Now, back to the whitework. 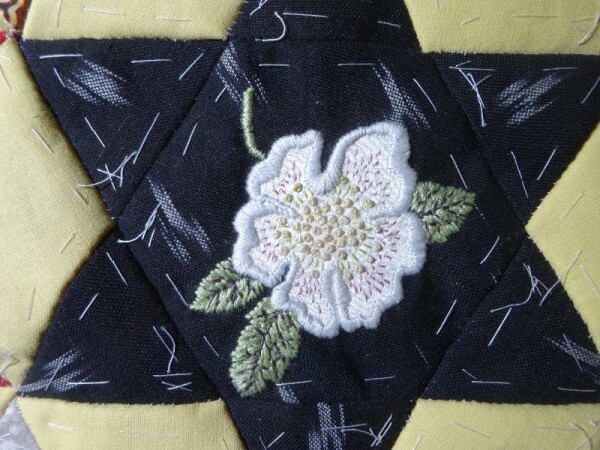 Hellebore: (hand embroidered detail) for patchwork altar frontal, project, Ipsden Church, Oxon. 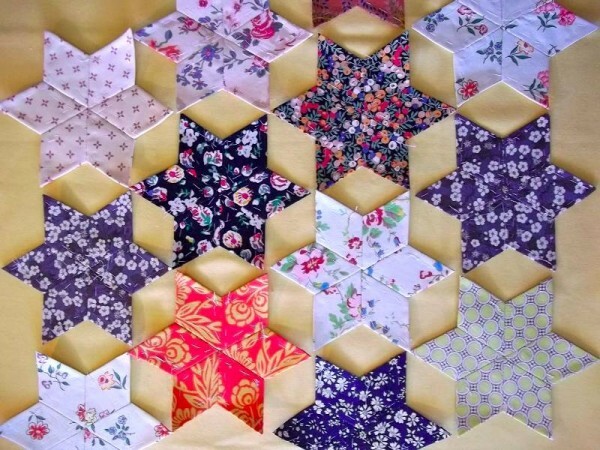 I think your ideas sound wonderful – what a delightful project and how cheerful to look at all those sunny flowers on a cold winter’s day in Church. Your gentle blog is a great delight and I love to read it… so I would like to thank you for writing it…. Thanks for what you say, Lydia. It’s always a joy to have encouragement. What a lovely idea to include the local flowers from around the church. Would it spur interest to have a sample available for folks to look at after church (near the biscuits)? In theory that’s a good idea and I may well try it. In practice, I think the problem is down to getting in touch with people who have come before and I just haven’t had time for that recently. Thanks for your helpful and kind comment. I love this project, could not be more apt for its settling, think it will look marvellous. Find your blog fascinating and very interesting, thank you for sharing. Thank you for leaving such a kind comment. It makes me very happy to hear you enjoy the blog. What a lovely and creative project. And such a lovely gift of time and talent to the church. As another comment said…you have such a lovely and gentle blog. 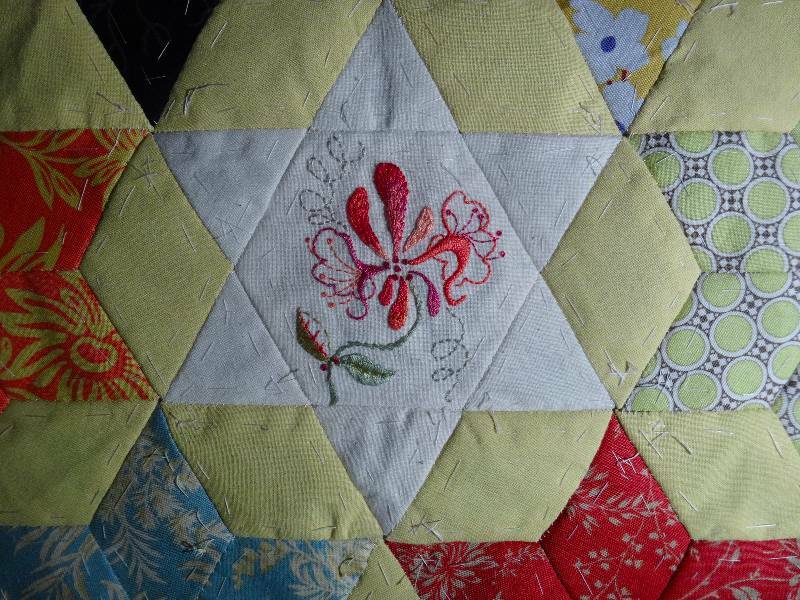 Thank you for sharing your needlework with us! It’s so helpful to hear such kind things. Thank you Claudia for bothering to comment and for being positive about the blog.